Vintage Trains is a charitable trust (previously known as Birmingham Railway Museum Trust). The Trust is the custodian of the Tyseley Collection of railway engines. The Collection belongs to 7029 Clun Castle Ltd which is a registered educational charity. The Trust was established to preserve and demonstrate the steam locomotives. In 1999 it achieved its long held objective of running a regular steam train service on the national mainline railway network between Birmingham and Stratford-upon-Avon. Tyseley steam depot was originally built by the Great Western Railway for that purpose. So Vintage Trains continues Tyseley’s historic traditions. – Tyseley Locomotive Works – restoring, repairing maintaining steam locomotives, rolling stock and other classic heritage traction. – Vintage Trains Ltd – operating mainline steam excursions and the Shakespeare Exress. Surplus income from rail tour tickets and event admissions is reinvested in preservation and maintainance of the Tyseley Collection. Vintage Trains uses engines from the Tyseley Collection plus guest locomotives to haul steam excursions on the national mainline railway network. The Excursion Programme offers an attractive and varied choice of destinations. 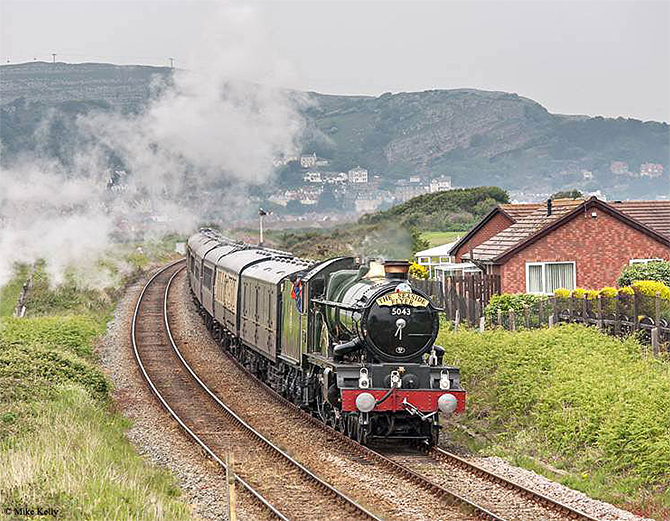 These tours make an excellent day out for both families and railway enthusiasts.